Food Network vs. Cooking Channel: Something Smells Good! Food lovers and would be chefs certainly have it good nowadays. In addition to the high number of Internet resources for anything and everything that has to do with food, there are also channels such as the Food Network and the Cooking Channel that can serve as valuable sources of information. This comparison article goes into the relative advantages and disadvantages of each. The Food Network is a television channel that is dedicated to any and all things related to food and cooking. The channel features one-time as well as recurring programs, and it is seen in over ninety million households all over the United States and in millions more throughout the world. The Cooking Channel was produced as the replacement for the Fine Living Network beginning on May 31, 2010. Instead of the "reality series" and contest shows that the Food Network is typically known for, the Cooking Channel focuses more on the instructional aspects of food preparation and cooking. 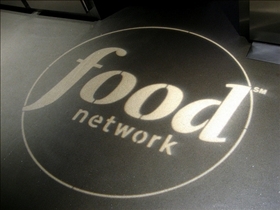 The origins of the Food Network can be traced to the TV Food Network, which was launched on April 19, 1993. The show underwent a slight name change in November of that year, and it has been airing ever since. The producers of the Cooking Channel originally planned the changeover from the Fine Living Network for the fall of 2010, but the launch was moved earlier in order to coincide with Memorial Day in the United States. High-definition feeds began on June 30, 2010, and the channel is currently planning to provide an on demand version of its programs. The shows on the Food Network are divided into two broad groups: the daytime shows called "Food Network in the Kitchen" and prime time shows known as "Food Network Nighttime". The "In the Kitchen" shows are generally of the instructional variety, while the "Nighttime" shows tend to focus more on competitions, food related travel shows, reality shows and the like. Among the most popular shows on the channel are Emeril Live!, Iron Chef America, Good Eats, and Rachael Ray’s 30 Minute Meals. The Cooking Channel has actually drawn many of the more notable celebrities and celebrity chefs of the Food Network, among them Emeril Lagasse, Rachael Ray and Bobby Flay. All three will have new shows on the channel beginning in the fall of 2010. Lagasse will have a new show called Emeril's Fresh Food Fast, Flay will have Brunch@Bobby's, and Ray will have a new show called Week In a Day. Which channel is more entertaining? I think the food network is all about cooking stars, and the Cooking Channel is all about cooking. I really welcome the Cooking Channel. Totally agree..very tired of the same stars hour after hour. I use to watch it for ideas but not anymore. There are a few actual "learn to cook" shows during the day but after that it is Bobby Flay and Guy Fierro. Let's get back to cooking and the basics.